ABC NEWS – Virginia Democratic Congressman Bobby Scott was made aware of allegations of sexual assault against now-Lieutenant Governor Justin Fairfax over a year ago by the alleged victim herself, ABC News has learned. Scott learned of the allegations directly from Dr. Vanessa Tyson, who on Wednesday released a statement detailing the alleged 2004 assault, which took place at the Democratic National Convention in Boston. Fairfax vehemently denies the assault claim. 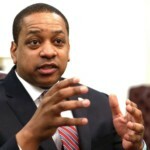 Aides to Scott confirm to ABC News that Tyson first reached out to him in an email on October 20, 2017, expressing that she was “not a fan” of then-candidate for Virginia Lieutenant Governor Justin Fairfax. In a Nov. 29 email, Tyson expressed her dislike for Fairfax and wrote that she would like to “talk about it,” with Congressman Scott. Aides to Scott maintain that he was not made aware at that point about an alleged sexual assault in 2004 involving Fairfax. In a text message exchange between Scott and Tyson in December 2017, she informed him that the now-lieutenant governor-elect had a “MeToo allegation,” but at the time the congressman did not know that she was the accuser, according to aides. In late December 2017 and early January 2018, aides to Scott said he learned that it was Tyson herself who was involved in a “MeToo allegation,” concerning Fairfax. She also informed him that she had already told the Washington Post about an alleged incident involving Fairfax and that she had given the Post Scott’s name as a character witness. When pressed by ABC News, aides said they did not know what the congressman did with that information, but that he told Tyson that he agreed to speak with the Washington Post. Scott himself was previously accused of sexual harassment by a former aide, who said he touched her inappropriately when she was working in his Washington office in 2013. He denied the claim. Aides said Scott maintains that Tyson never brought up the allegations in the many years that they have known each other prior to the time period between December 2017 and January 2018. In a lengthy statement released on earlier on Wednesday, Tyson recounted the alleged incident with Fairfax in detail. “On the night of Friday, February 1, 2019, I read multiple news accounts indicating that Virginia Lt. Governor Justin Fairfax would likely be elevated to Governor as an immediate result of a scandal involving Governor Ralph Northam. This news flooded me with painful memories, bringing back feelings of grief, shame, and anger that stemmed from an incident with Mr. Fairfax that occurred in July 2004 during the Democratic National Convention in Boston,” Tyson wrote in a statement released through her legal team. ABC News has also obtained a statement of support from a friend of Tyson. This person spoke with Tyson in October 2017 and does not wish to be identified for fear of harassment and threats. ABC News has also reviewed text messages that support this friend’s claim that she spoke with Tyson about the incident in October of 2017. Tyson has hired the legal services of Katz, Marshall and Banks, the same law firm that was retained by Dr. Christine Blasey Ford, a California psychology professor who accused Brett Kavanaugh, then-President Trump’s nominee for the U.S. Supreme Court, of sexual misconduct. Kavanaugh denied the claims and was later confirmed by the U.S. Senate. 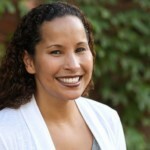 “Regarding the allegation that has been made against me – while this allegation has been both surprising and hurtful, I also recognize that no one makes charges of this kind lightly, and I take it and this situation very seriously,” Fairfax wrote in a statement on Wednesday.